Natural handcrafted soap began in 1917 and has evolved over hundred year, from essential oils to cold process natural handmade soaps . The natural herbs , flowers and grains from the Rainforests have been popular for three generations. Now available in North Carolina! 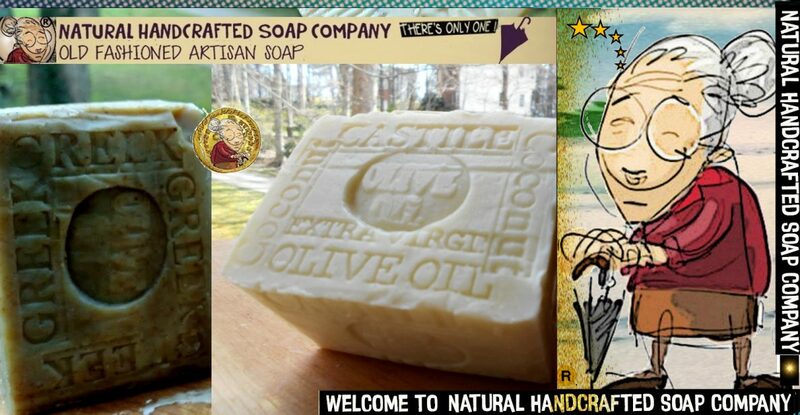 Natural Handcrafted Soap Company The Way Traditional Artisan Skin Care Soap Was Made Centuries Ago. Our handmade soap is made in small batches in North Carolina Greek Olive Oil Soap is a natural goodness from the pure organic olive oil . Limited Cream Soap Bar Made From Award Winning 2018 GOLD Medal at the NY International Olive Oil Competition. Our Greek olive oil comes directly from his organic olive farm in Greece. This product is made with 90 % Olive Oil . -Perfect Gift or treat yourself. Wonderful Skin Care Product both for face and body made also with organic unrefined Shea Butter And Organic Coconut Oil. 2. A good handmade organic soap bar, is then poured into a mold and allowed to “cure” for a few weeks to allow for the excess water to evaporate. Australian Tea Tree and tree leaves Handmade soap is suitable for any skin type and acne skin . the benefits of a aged soap are much greater than a scent and is suitable for any skin type. suitable for any skin type. . It is calming and gentle on the skin. 5. Aged Sea Kelp Varech Handmade Soap with Cocoa Butter 12 oz. Does your skin seek help? We say, Sea Kelp! Organic sea kelp (a nutrient-packed species of seaweed) and green tea , detox and cleanse skin. Posted on February 16, 2019 by Natural Handcrafted Handmade SoapPosted in natural handcrafted soapTagged Australia handmade soap, Castile Soap, citrus soap, handmade soap, olive oil soap, suitable.